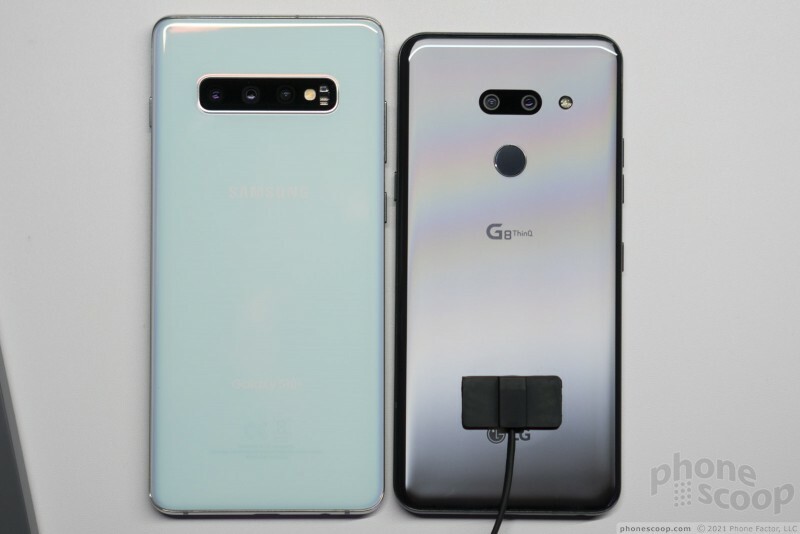 Updated: Added photos of red and gray color options, and compared to Samsung Galaxy S10+. 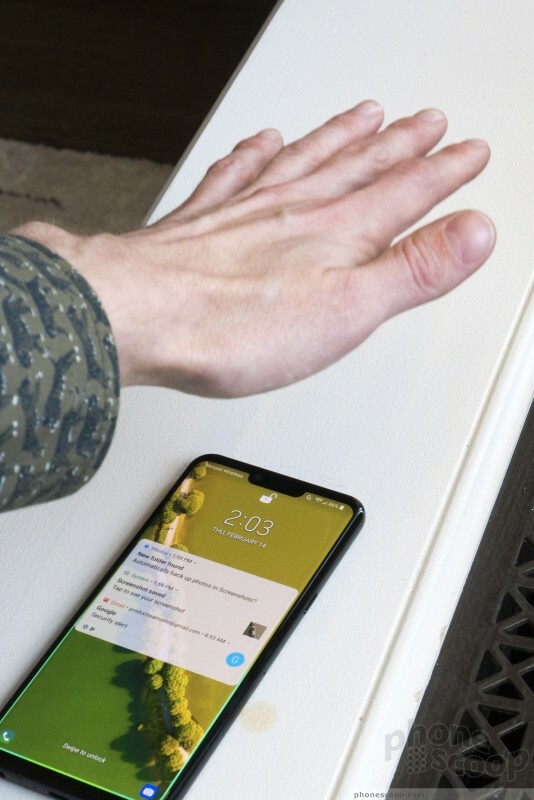 The LG G8 ThinQ has some futuristic new features, like complex mid-air hand gestures and hand vein scanning. 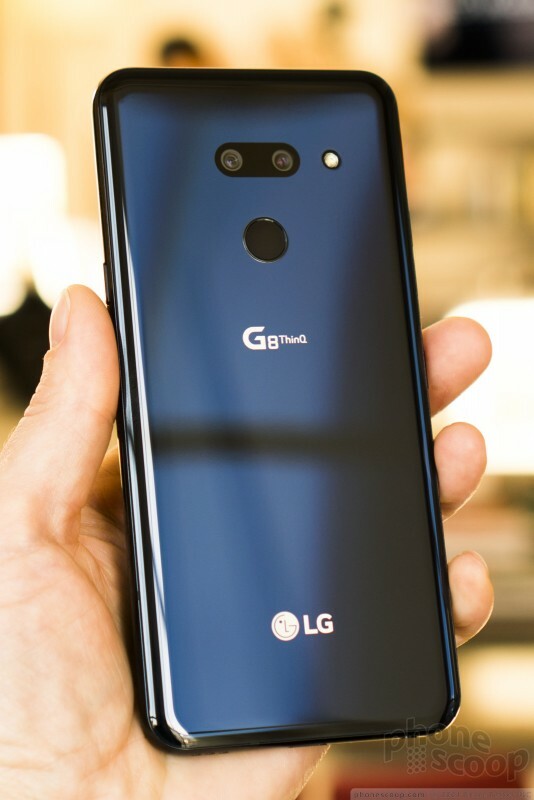 Otherwise it's similar to the G7, but makes numerous small upgrades and refinements. 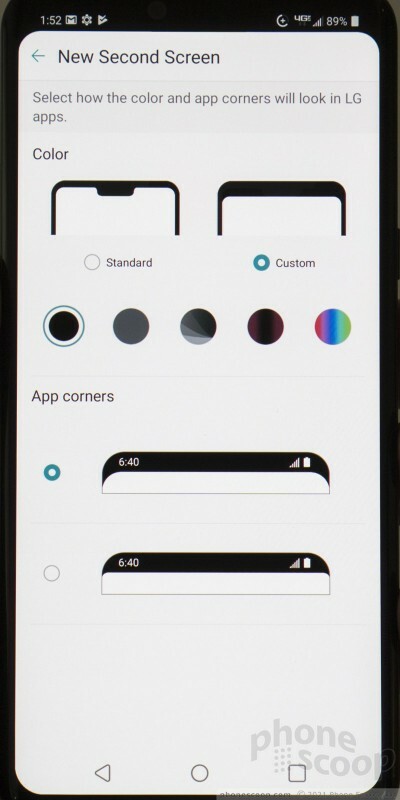 How well do the new features work? How does it look and feel in person? 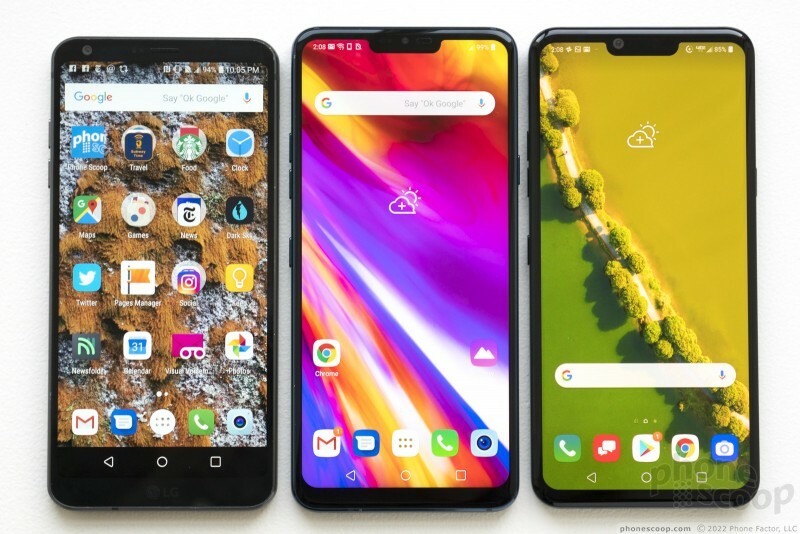 What else should you know about this new flagship phone? Read on to find out. 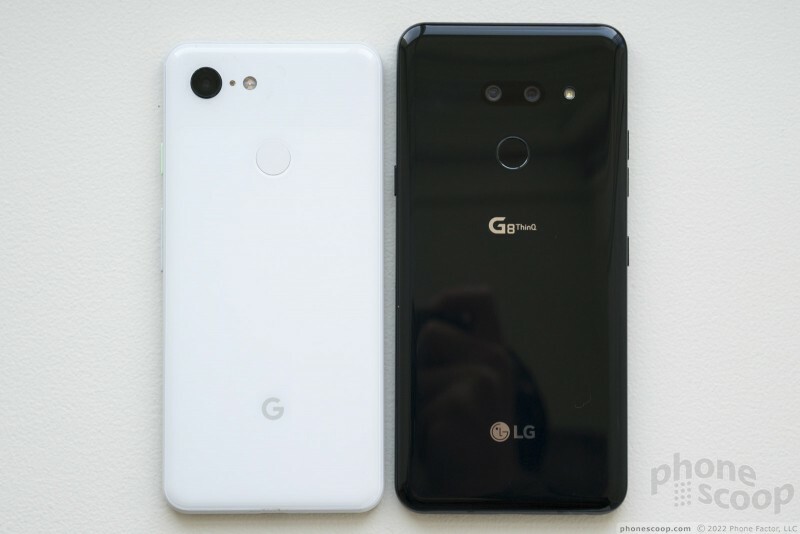 The G8 really looks quite similar to the G7. 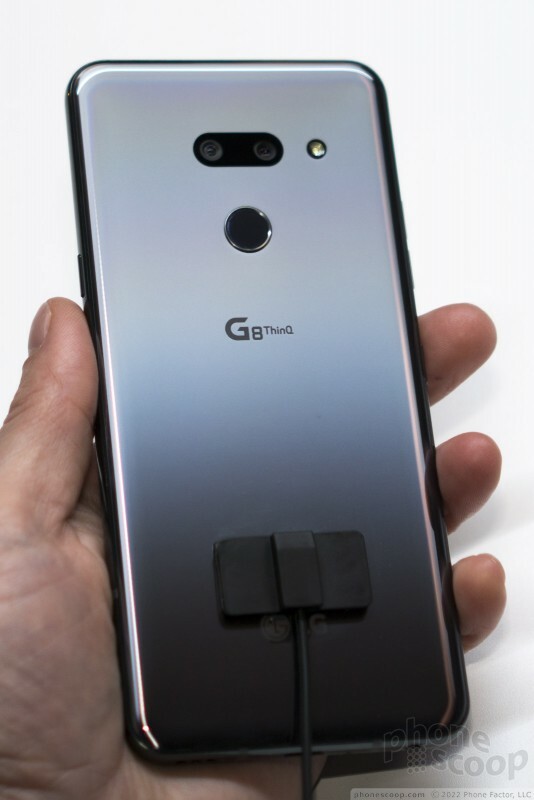 Clearly the G7 was the starting point for the design, and that's a good thing. The cameras are arranged differently on the back. On the front, there's just a smaller "chin" on the G8, making its bezel more even all the way around. 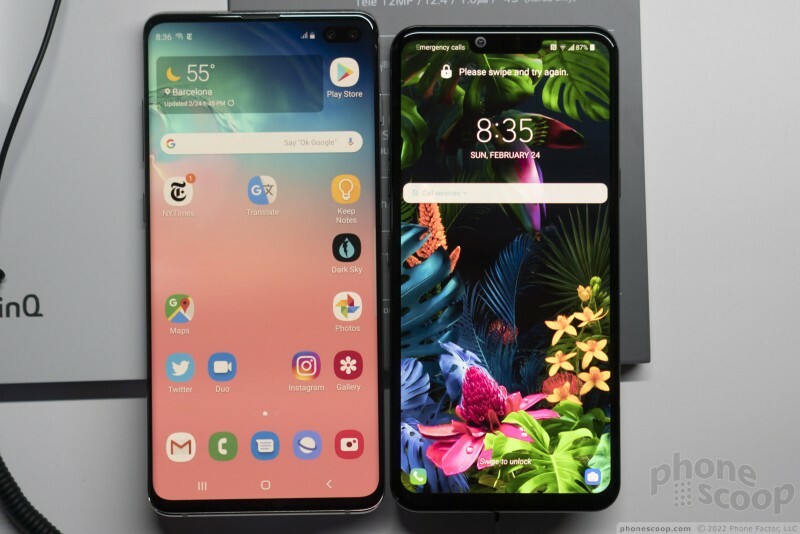 This pleases my eye, but does make it look more like an iPhone. 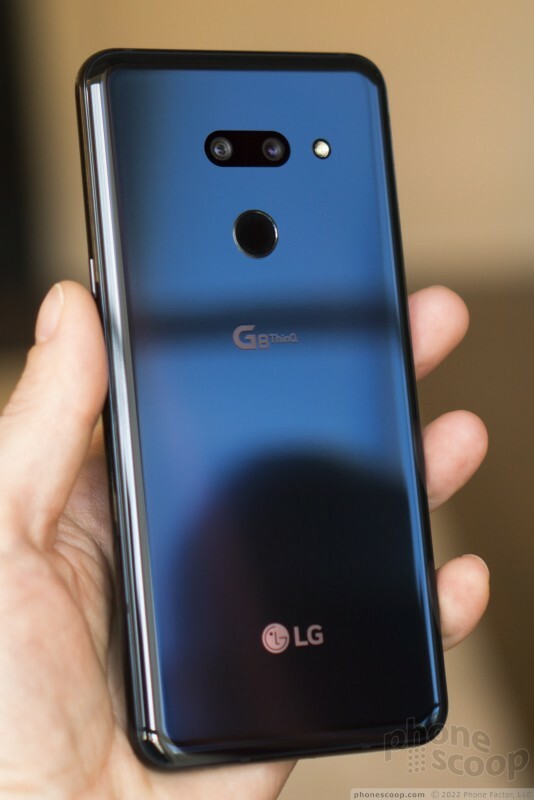 And the specs aren't wildly different compared to the G7; just updated for 2019. 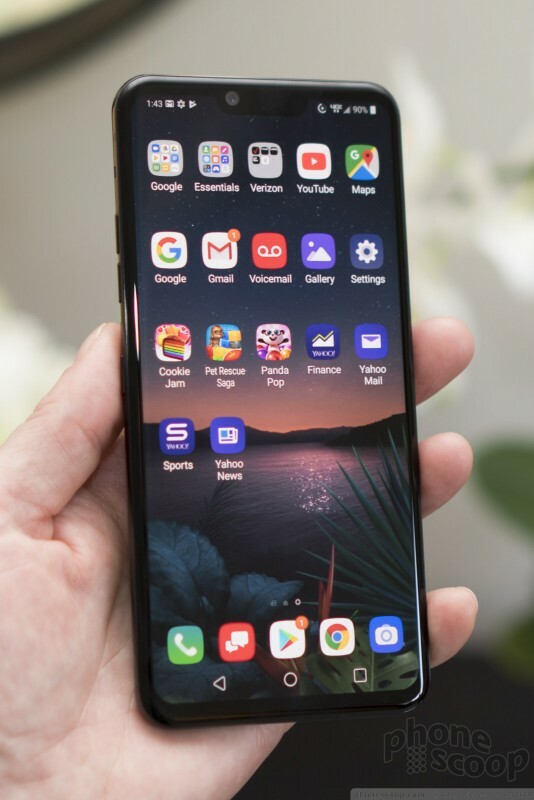 The phone looks and feels great. 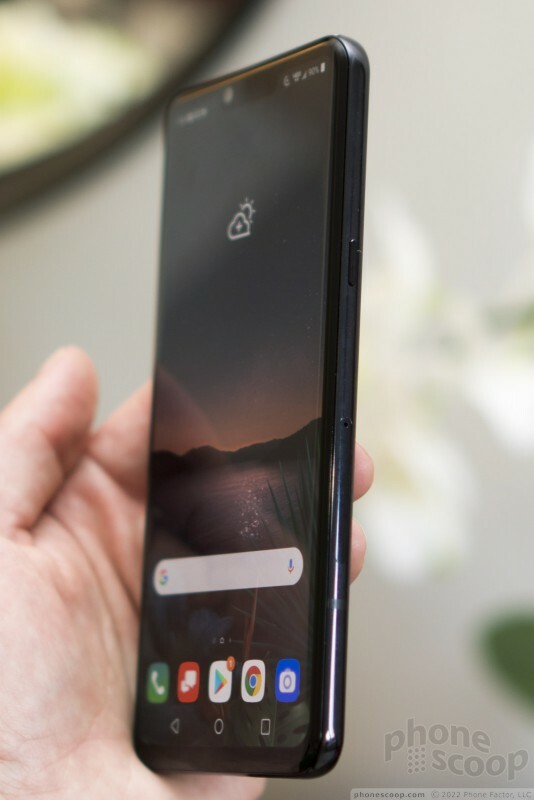 It's a black glass rectangle with rounded corners and glass that curves at the edges. It's a common design, but a solid one, well-executed here. 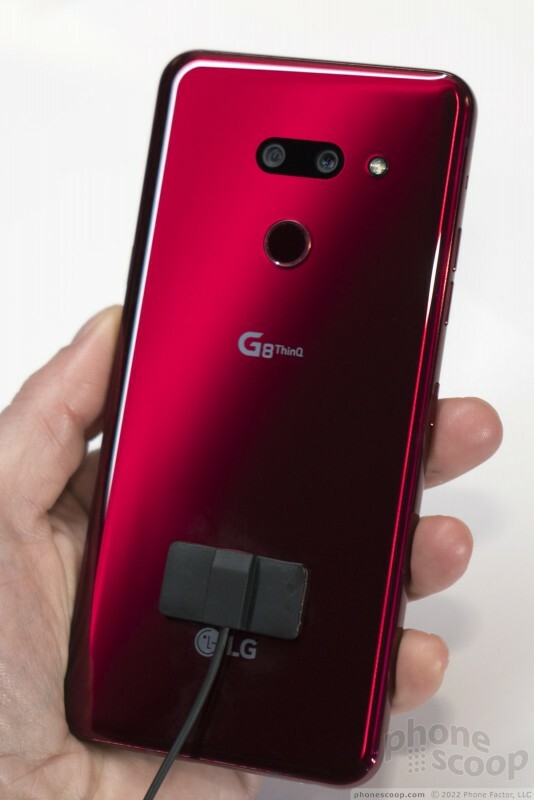 LG has even smoothed things out more than usual by eliminating the camera hump, or even a distinct physical camera area at all. 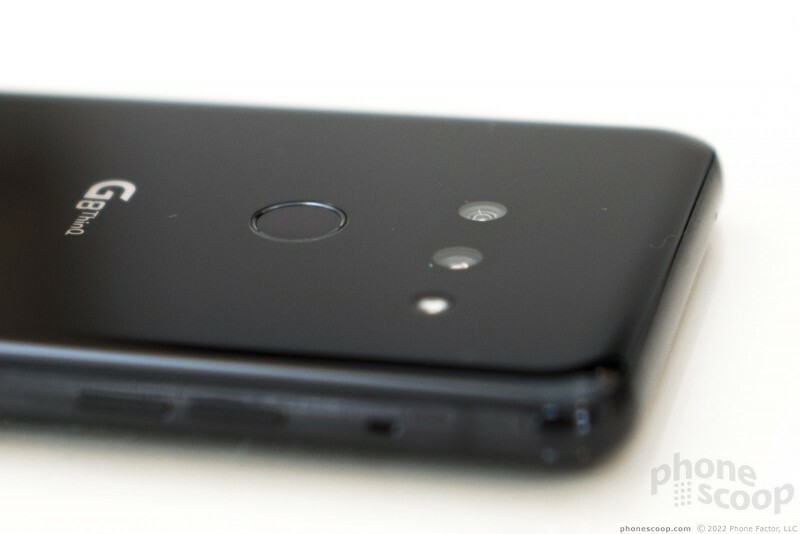 The main glass of the back extends over the camera lenses seamlessly. That's a first, as far I can recall. It certainly looks slick. 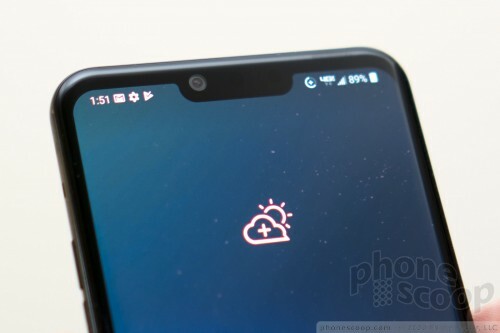 I would worry about this impacting camera performance, but I have no doubt LG has tested for that and made sure it wouldn't. 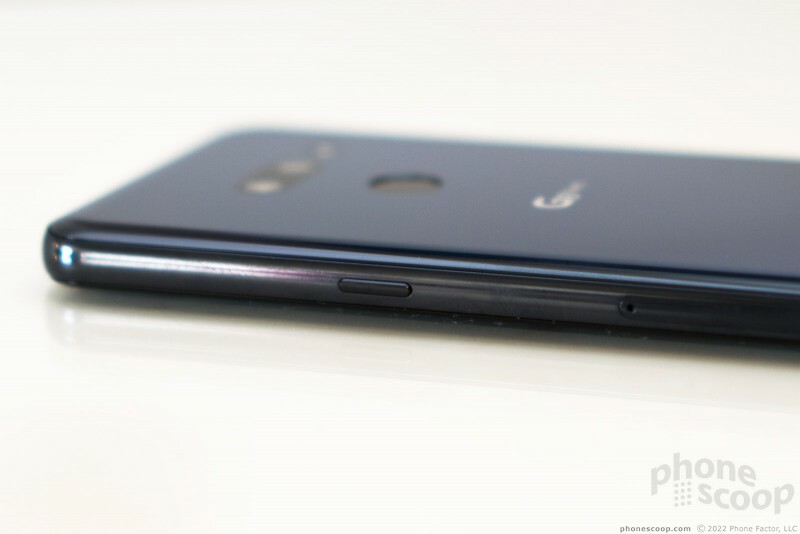 All of the buttons work well, and the fingerprint reader placement is good. 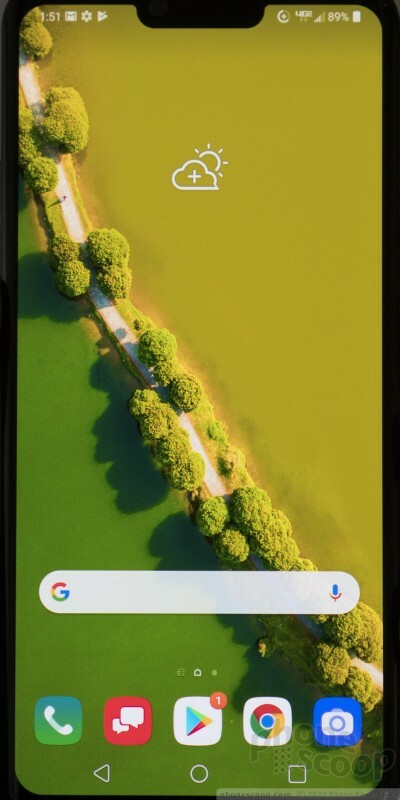 It's a nice size and weight, and the build quality is excellent. 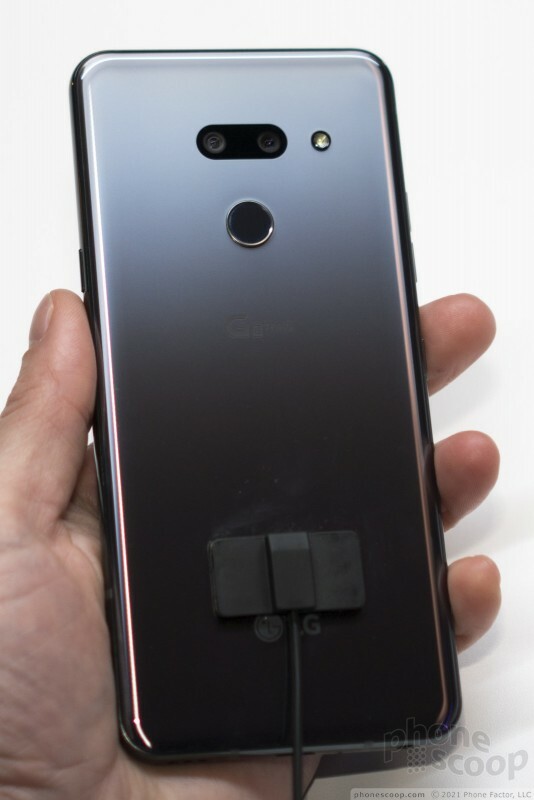 We had hands-on time with the "black" color, and most of the time, it does in fact look black. But the back can light up a deep, shimmering blue when bright light hits it at the right angle. It's a handsome finish. 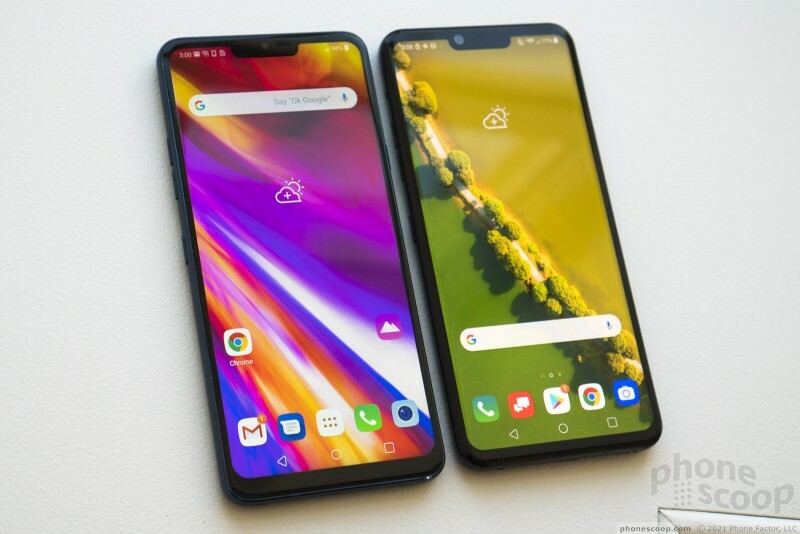 The display notch is still there, but thankfully LG has kept its excellent controls that help you minimize the obviousness of the notch and customize its look. 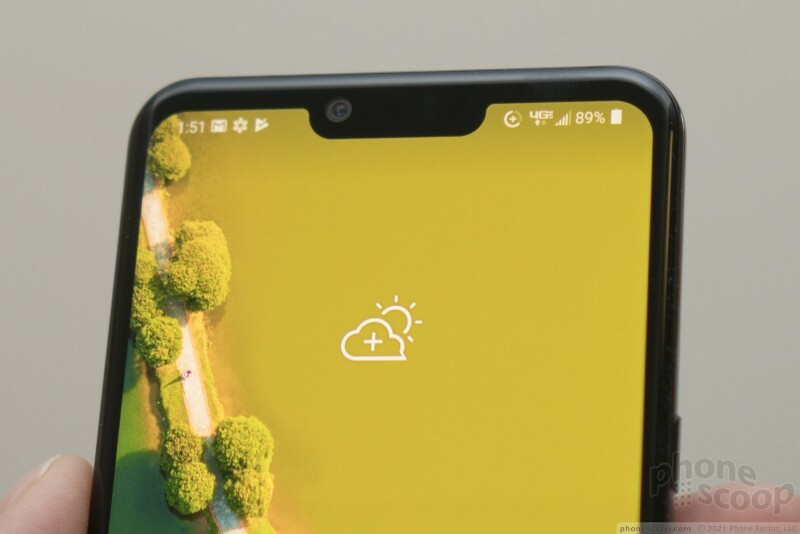 The notch now houses the ToF (time of flight) 3D depth camera, which LG calls "Z Camera" (because in the XYZ 3D coordinate system, Z is for depth). 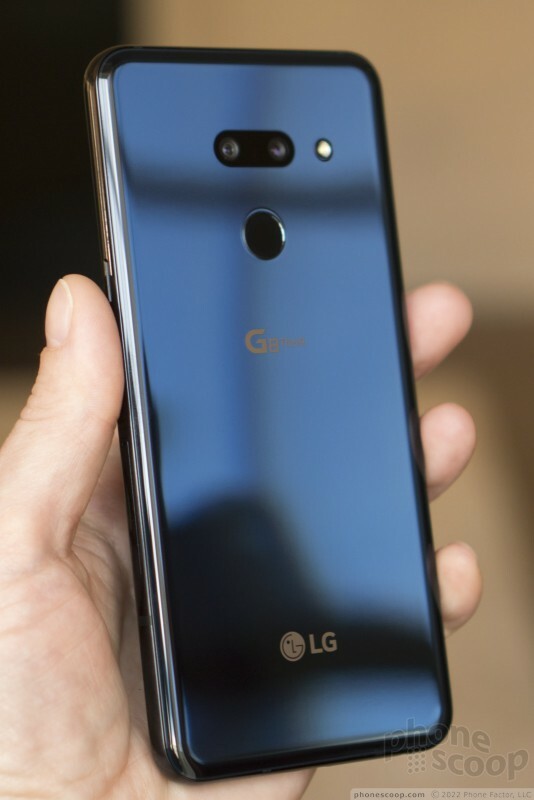 This is a new hardware feature you're going to see on a lot of high-end phones over the next year, and LG is doing truly interesting things with it. ToF works by pulsing out an invisible infrared beam and then measuring the time it takes for that light to bounce off things and return. (My camera captured it as red in some of the photos in the article, but to the naked human eye, it's 100% invisible.) It's so fast that it can use this to measure distance very accurately. 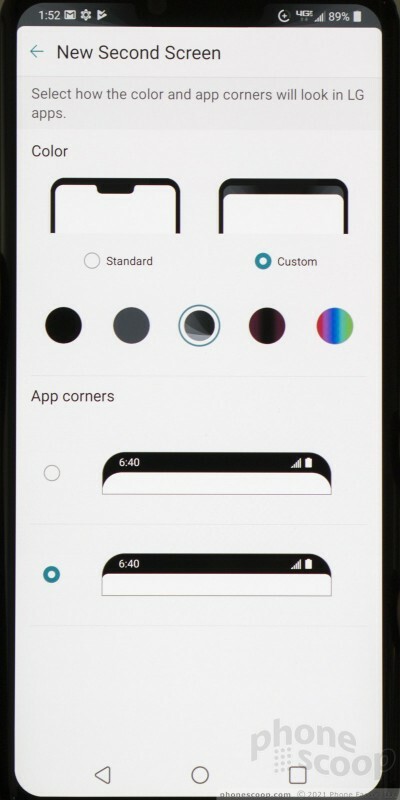 The proximity sensor in most phones does the same thing, but using a basic light sensor. 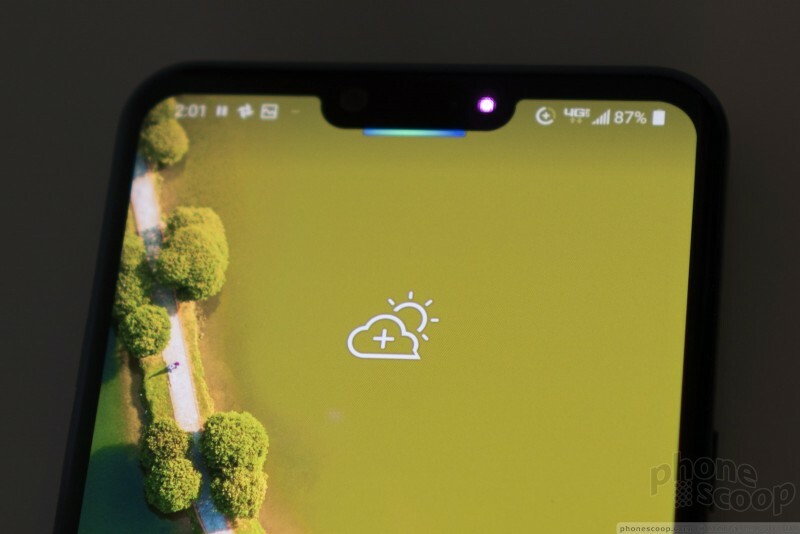 By making that sensor a full-on infrared camera, the sensor gets an instant, accurate 3D scan of everything in front of it. 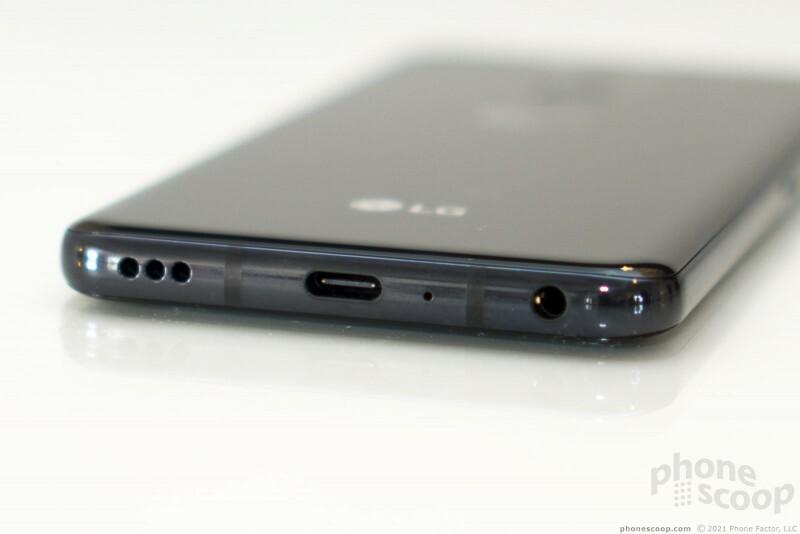 To make room for that 3D sensor, LG had to put the earpiece somewhere else. So they embedded it into the display itself. The whole top of the display is now the earpiece, and there's still the "boombox" speaker (for speakerphone) in the bottom. When watching videos, they work together to produce stereo sound. I was skeptical, but trying it in person, I was impressed. It's loud and clear, with a surprisingly good stereo effect. 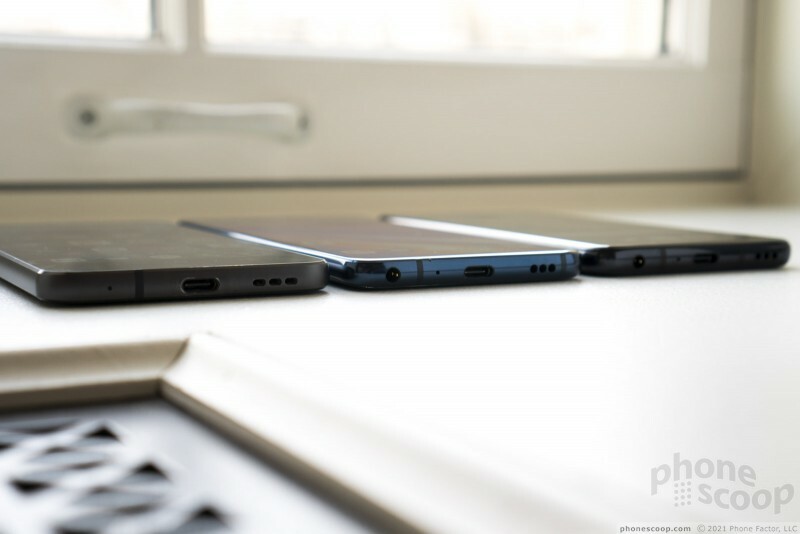 There are some nice advantages of screen-speaker tech. First, no more hunting for the "sweet spot" where the earpiece is perfectly aligned with your ear canal to hear well. 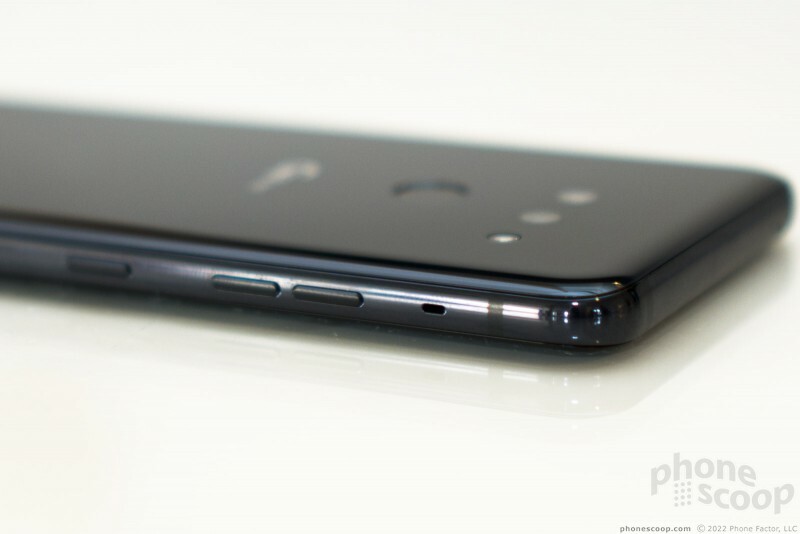 Second, if the phone gets wet, the water won't clog up and muffle the speaker. Finally, in really loud environments, you can press it against your head to get something effectively like bone-conduction, where the vibrations go through your head instead of the air. Neat. I tried the hand vein scanning and air gestures. They can work, and are mighty impressive when they do. But in the current version, they take a lot of practice to get the distance and alignment right, still aren't perfectly reliable, and tend to be a bit slow. 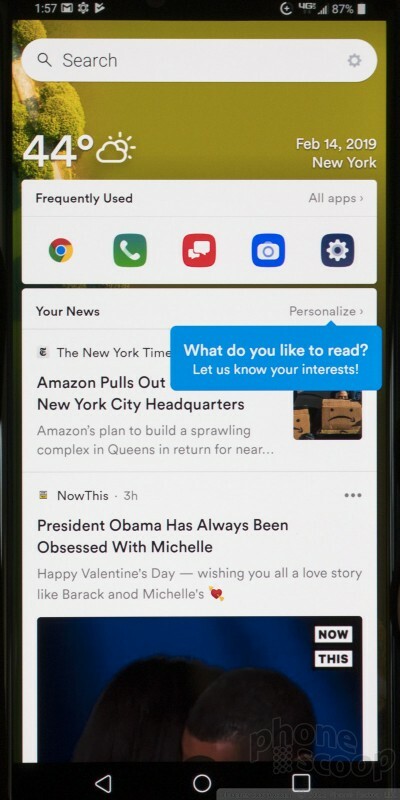 These are areas that can — and I expect will — improve with software updates. 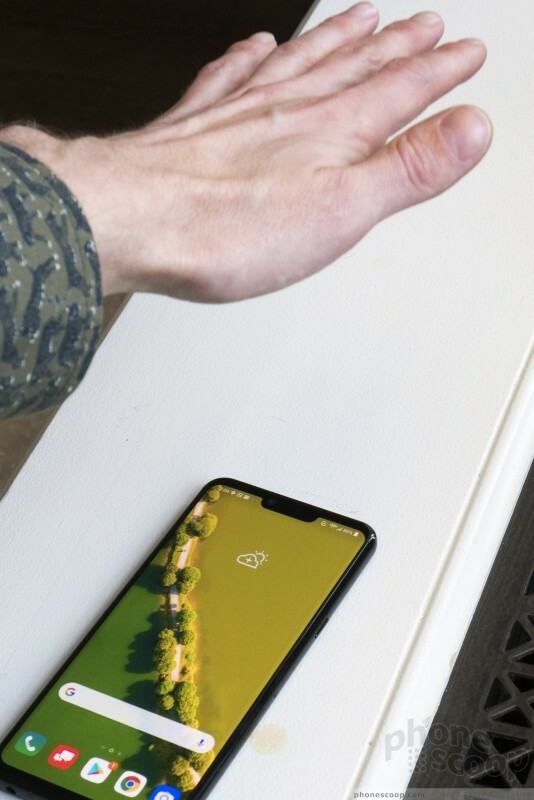 One reason I say that is that I was able to "see" what the sensor "sees" thanks to the real-time feedback feature of the Air Gestures. 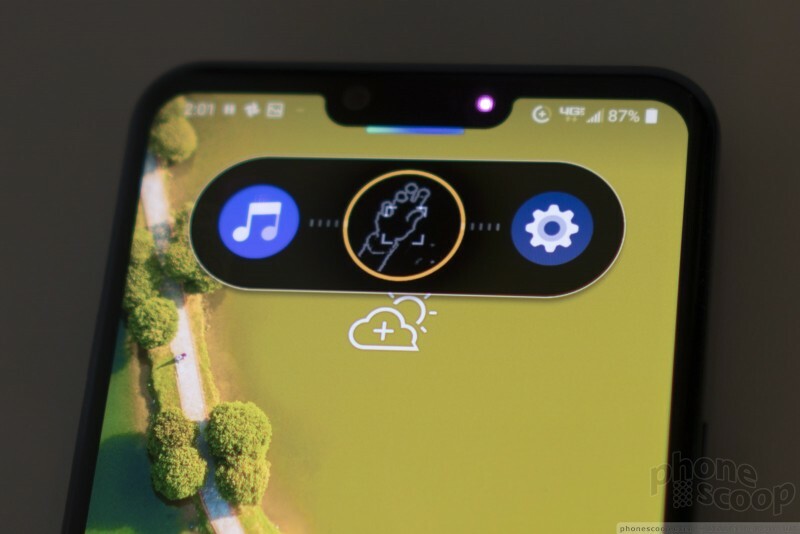 Once you activate it by hovering your palm over the sensor, the shortcut visual shows you an outline of your hand in real-time, which intuitively helps you get the centering and distance just right, quickly and without having to think about it too much. Brilliant. Once you activate Air Gestures, you make a claw gesture (which is a bit awkward) and then you can move your hand left or right to activate one of two gestures. They can be customized. 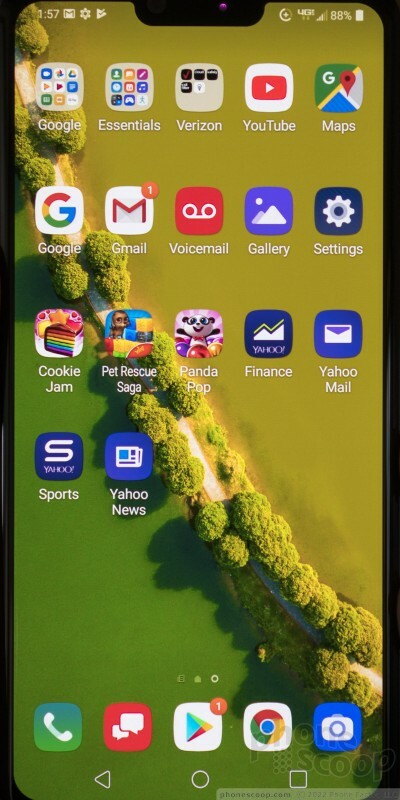 Certain apps, like Music, have their own shortcuts while you're in that app. 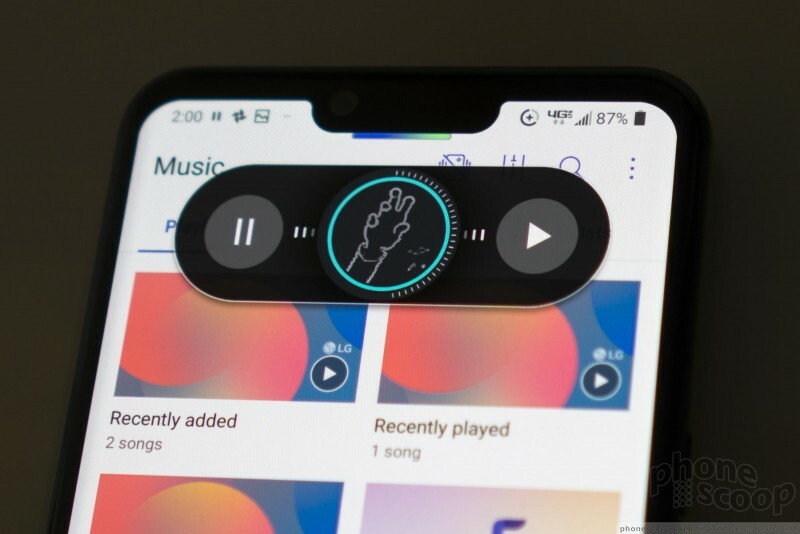 The music app also takes advantage of the "knob" gesture: leave your clawed hand in the center for a second, and it turns into a volume (or similar) control. 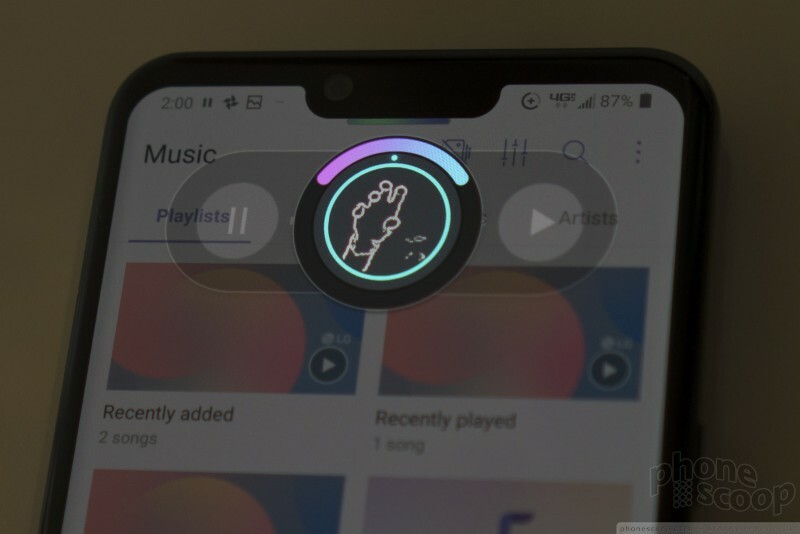 You'll see a knob-like circular meter around your hand. My first instinct was to simply turn my hand like I was turning the knob directly. But no, instead, you twist your hand just a little to the left or right. Leaving your hand twisted a little to the right (but stationary) will continue turning up the volume, and vice-versa. It's not the most intuitive, but you learn it extremely quickly. 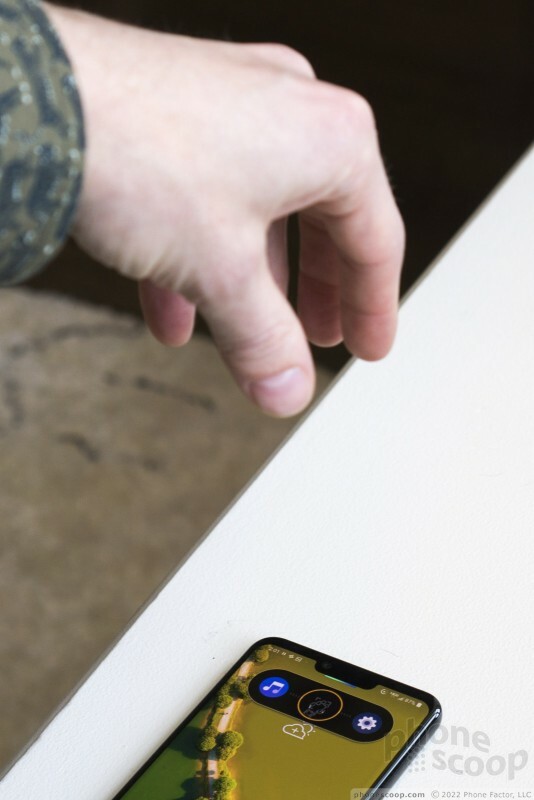 Wish the fingerprint reader was on the front so you could unlock your phone while it lies on your desk? The hand vein scanning feature was made for you! 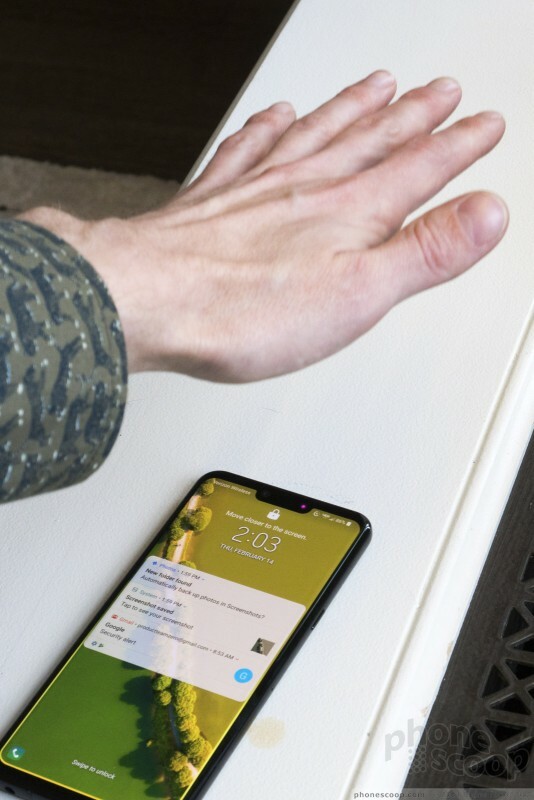 Just hover your palm over the notch and it unlocks. It requires that your hand be a very specific distance away to work, but it will prompt you to bring your hand closer if necessary, and it's something you'll learn as you use it. It works by taking advantage of the fact that infrared light is absorbed by the hemoglobin in your blood; veins that are invisible to us are very visible to an infrared camera system. Neat. I found both the hand scanning and Air Gestures tricky to get working at first. But over the course of an hour or so, I got better at it. Not perfect, but perhaps I just needed more time to get it down. Either way, plan on a learning curve. And I do hope a software update can speed these features up a smidge. Still, this technology is the future. 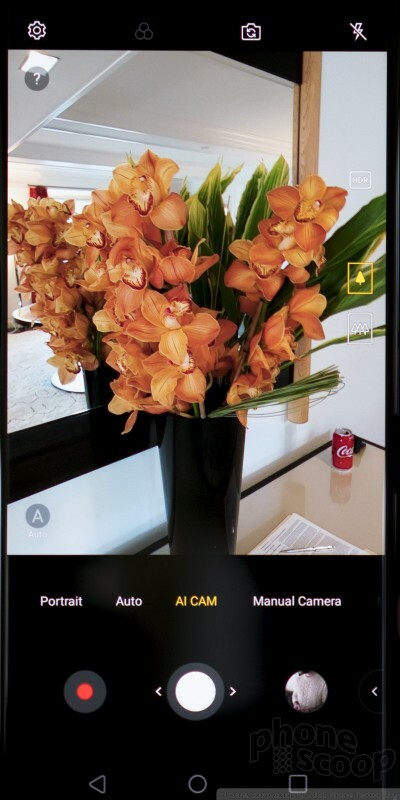 When it works, it's a magical glimpse of how we'll interact with phones going forward, and it's damn fun. 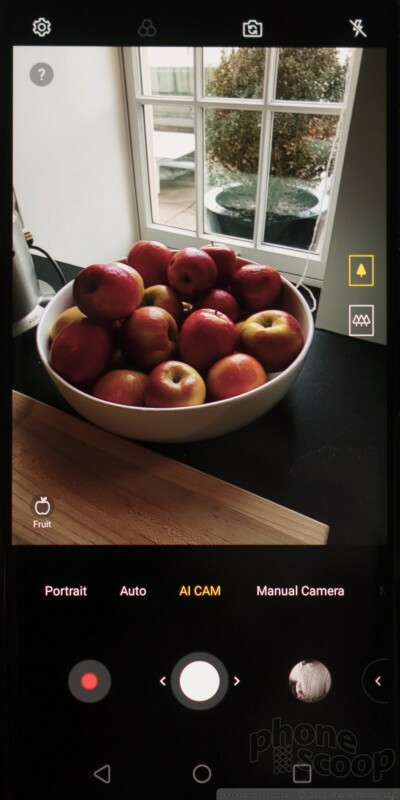 The Z Camera also maps your face for secure face unlock, and to make better selfie portraits with blurred backgrounds. 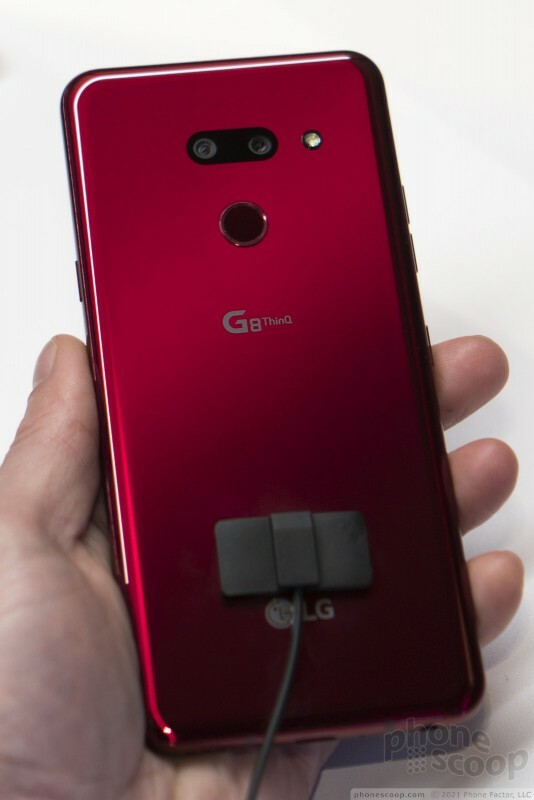 The interface is standard LG fare. 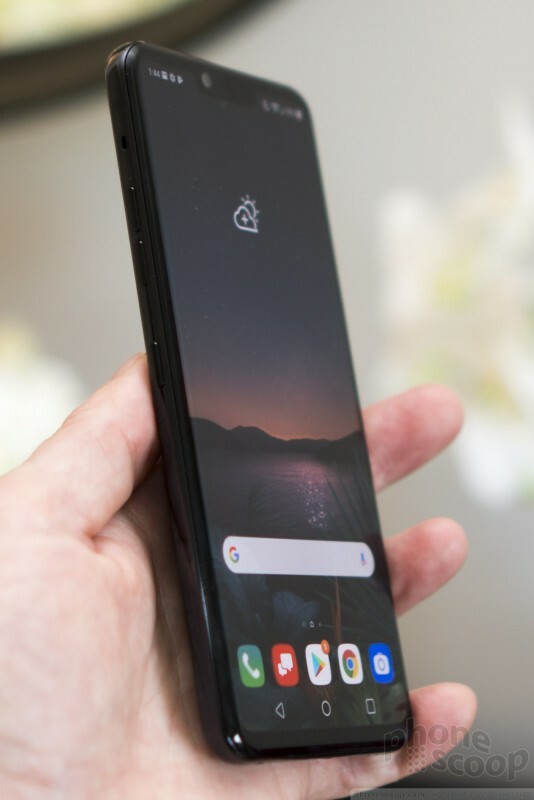 It could be closer to Google's design, but it's not as heavy as, say, Samsung's. 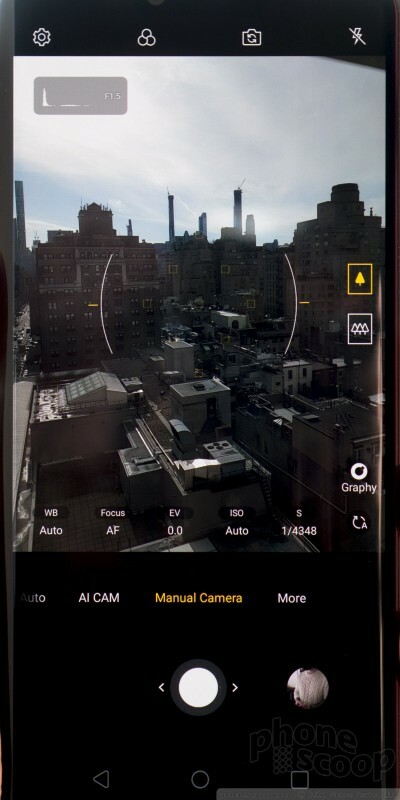 The G8 can also do bokeh effects for video. I didn't have time to test it, but I'lll bet people will have fun with that feature. 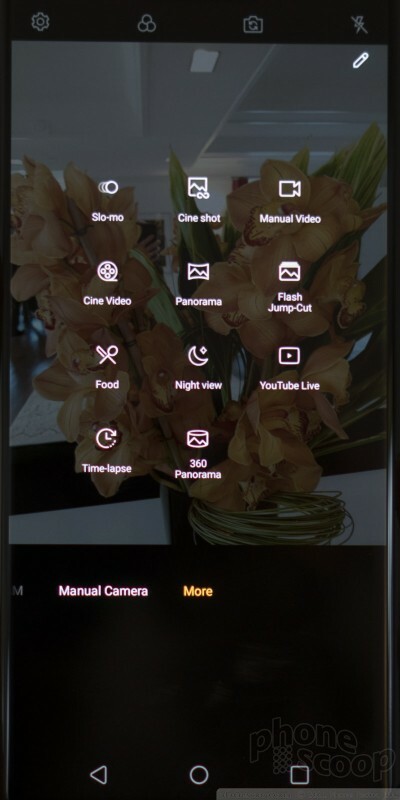 The main camera has an f/1.5 aperture, and a new night mode combines 10 burst shots for one noise-free photo. Also, the manual mode lets you take long exposures tup to 30 seconds. It was daytime when I tested the G8, but all of this should mean excellent low-light and night shots. As always, I'm a huge fan of having an extra wide-angle camera. 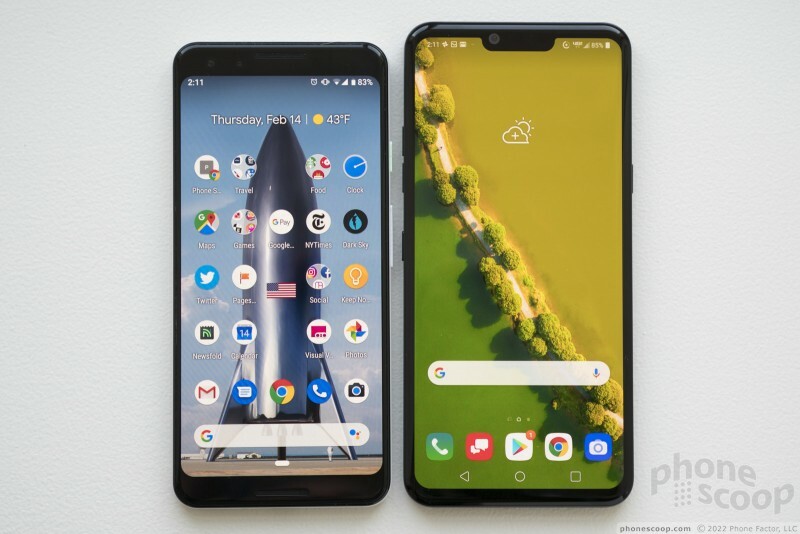 In all, this seems like a very well-rounded flagship phone.